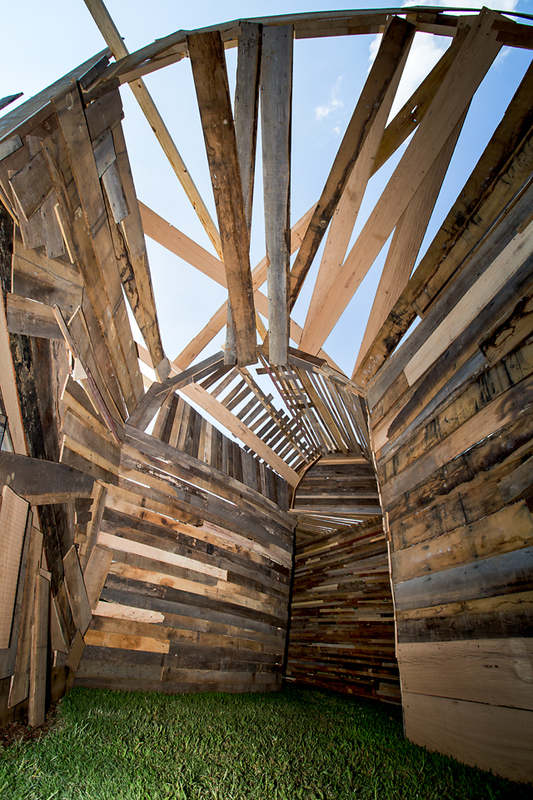 In case you don’t know by now… we LOVE salvaged and reclaimed wood! We rescue it, we create with it, we have a deep appreciation for its history, we respect the sacrifices of the natural resources and feel a deep responsibility to help protect those resources by finding ways to reuse and repurpose the wood. 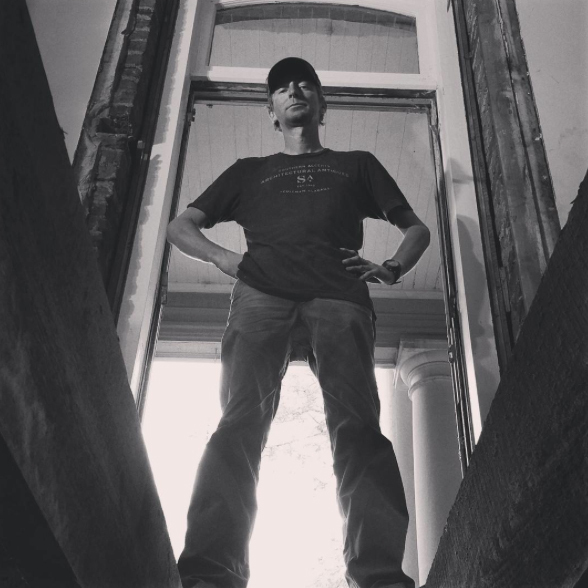 Our large wood showroom houses a wide variety of salvaged and reclaimed wood that is ready and waiting to be repurposed. Currently, we have some of the prettiest salvaged, tongue and groove, painted beadboard that we’ve ever seen! 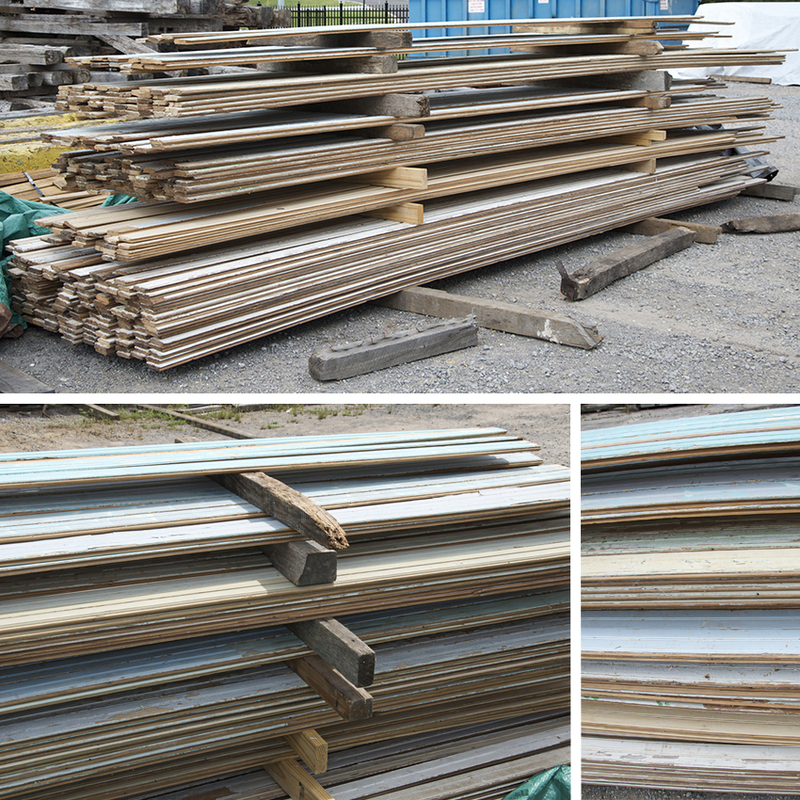 The boards have been de-nailed, cleaned, lightly sanded, sorted and stacked. Our varied selection includes gorgeous shades of blues, greens, cream and white. The boards can be used with the painted side showing or you can flip them and use the back side which is a natural brown wood color. These boards are ready for use! They would make a gorgeous wall or ceiling covering or are perfect for DIY craft projects. In addition to this beautiful beadboard, our wood showroom is stocked with a variety of salvaged and reclaimed lumber, wood trim and beams. Visit us online at www.sa1969.com, give us a call at 877 737-0554 or come see us! Our showrooms are open Tuesday – Friday from 9am to 5pm and Saturday from 10am to 4pm. 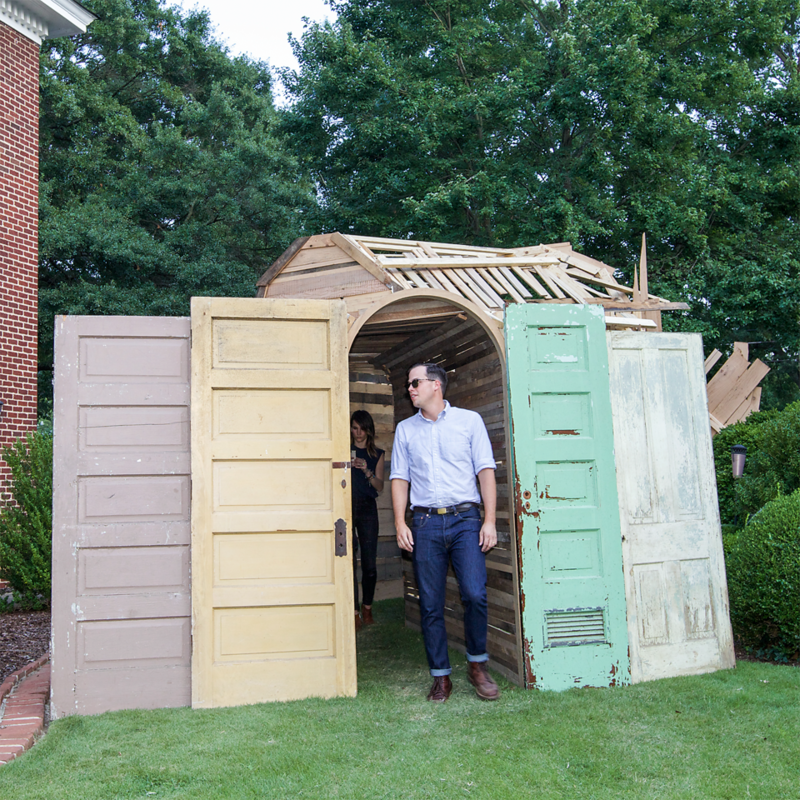 This past weekend we were given the opportunity to combine some of our salvaged materials with our creative talents to design/build an entrance for Chef Frank Stitt at Billy Reid’s Shindig No. 7. 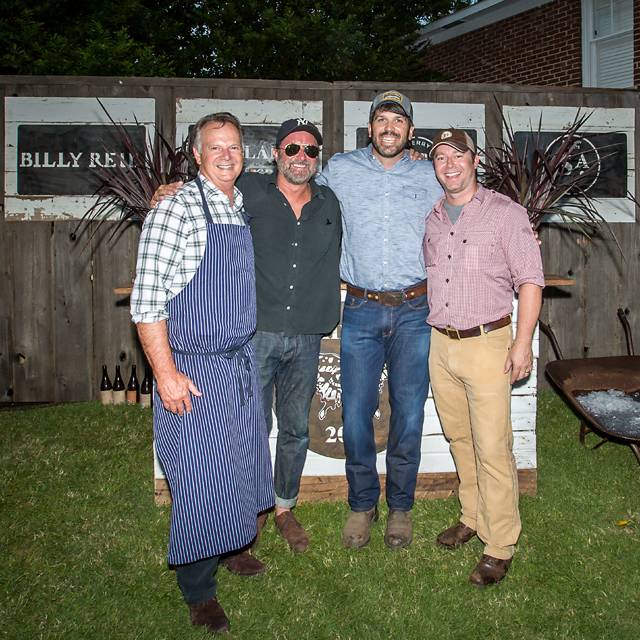 We’ve worked with Billy in the past, creating backdrops for his run way shows during New York Fashion Week, but this special event also featured Chef Frank Stitt and Roy Milner from Blackberry Farm Brewery. 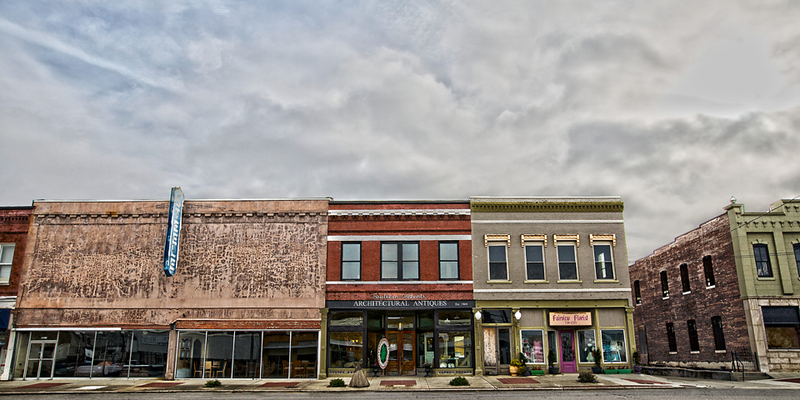 Frank is a Cullman native and long time friend, so when we were asked to take on this project, we responded with a resounding yes! 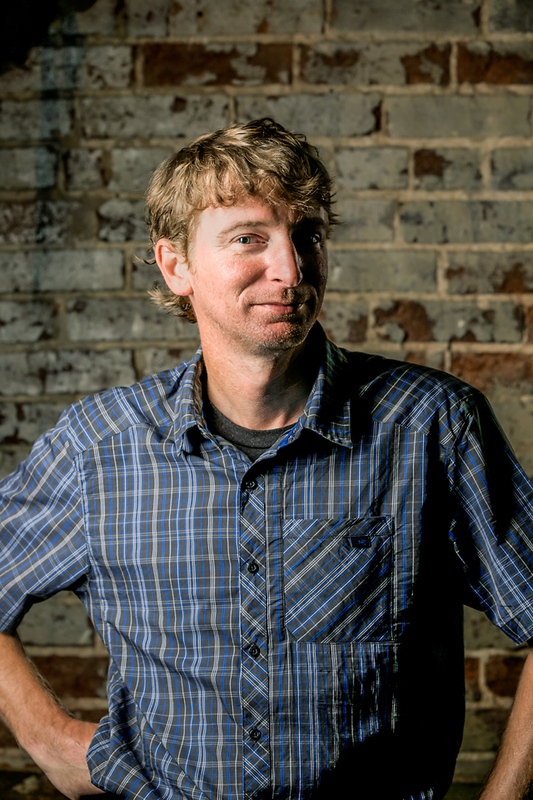 Frank was the guest Chef for a private party that was held in downtown Florence as part of Billy Reid’s Shindig activities. 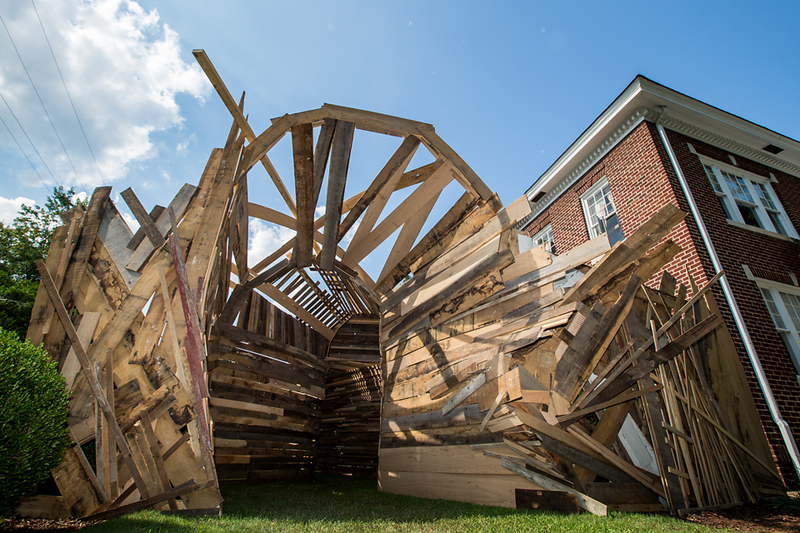 The event was held in the back yard of the Kennedy Douglass Center for the Arts which faces Wilson Park. We were asked to create a visual screen that would provide some privacy, as well as, serve as an entrance to the ticketed event. Garlan came up with the idea of building a tunnel while SA team member Josh Howe found a picture that served as an inspiration for the design. While the project began with a definite vision, the structure really began to take shape as we were constructing it. We began by building a frame. The idea was for the tunnel to wind around and exit into the event. From the entrance of the 14 foot tunnel, no one could see what was on the other side. As the grassy path wound around, it narrowed to a 3 foot exit. A wide variety of salvaged wood in various widths, lengths, and wood species was used, fashioning a whimsical design which visually produced captivating lines and texture. 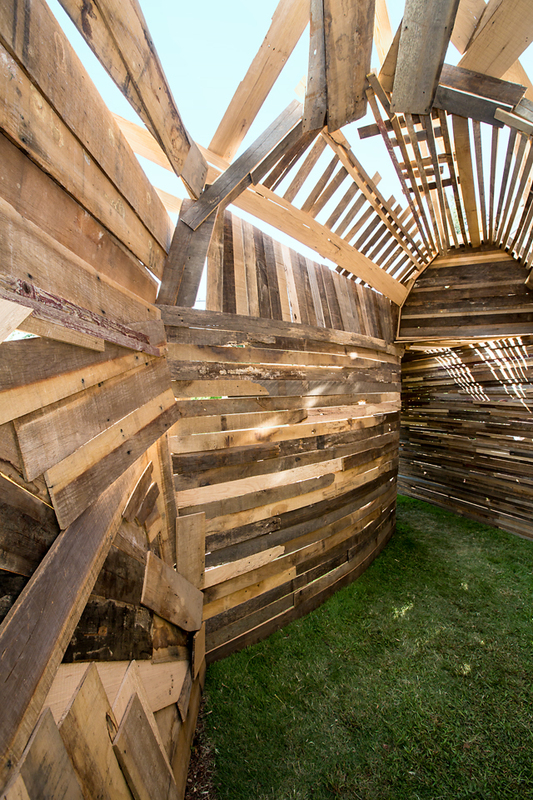 The roof spacing allowed light leaks into the tunnel from the sun as well as the night’s gorgeous full moon. 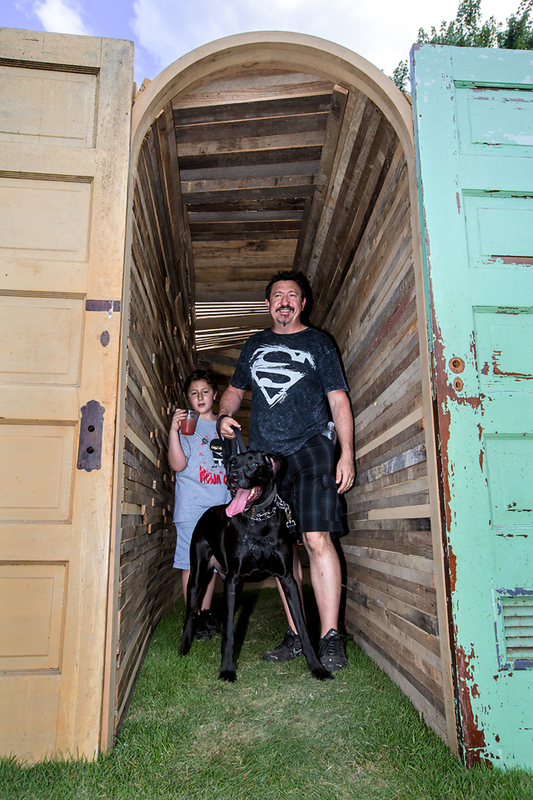 Garlan, Josh and our newest team member Jeremiah worked throughout the night constructing the tunnel. The end result was a work of art that garnered a lot of attention and generated much conversation throughout the weekend’s activities! We would like to thank Designer Billy Reid, Chef Frank Stitt of Highlands Bar and Grill, and Brewer Roy Milner from Blackberry Farm Brewery for collaborating with Southern Accents for this prestigious event. After the hard work was done, we enjoyed a night of great food, great friends, and great music from the Alabama Shakes in one of our favorite Alabama spots! 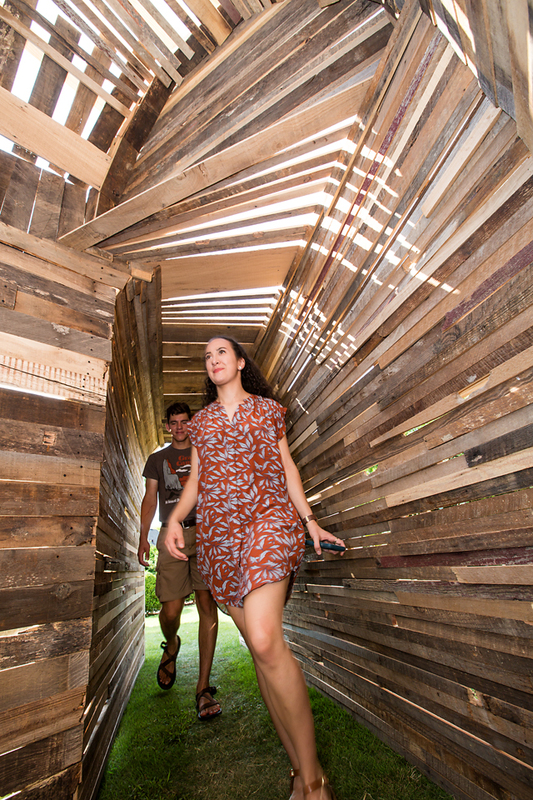 The tunnel will remain at the Kennedy Douglass Center throughout the month of September for those who wish to visit! 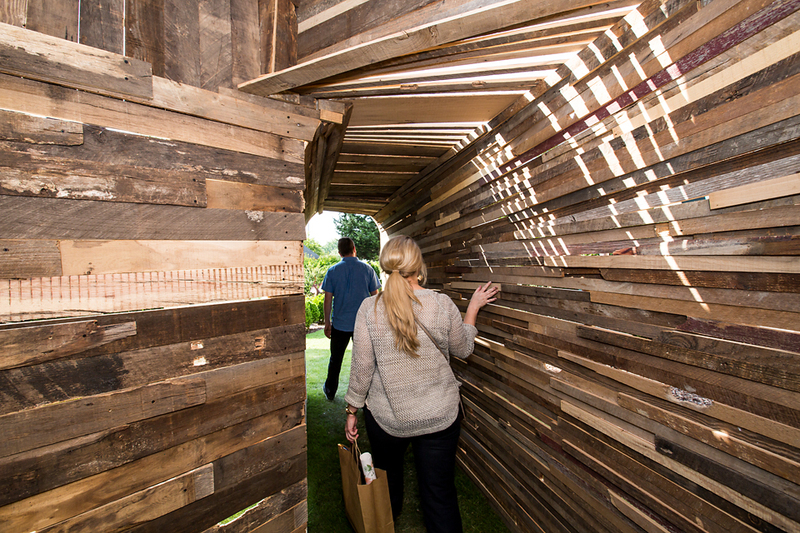 The tunnel exited into the back yard where salvaged doors were used to help further create a visual screen.